As this blog is highly ranked by Google (try searching on “Australian Small Business”) I get a lot of blog spam. Recently,most of the business owner published their product through internet,sometimes from social media and some of them are through blogging or commenting. Simply put - It is Lazy Marketing! We can all understand the frustration through the numerous spam e-mails we receive. It simply wastes everyone's time. 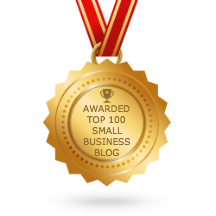 The intention of expert Blogs, such as The Australian Small Business Blog, is to get an insight and advice from the specialist hosting the Blog as well as the professional input and feedback from others contributing to the blog. Your Blog posting is a small reality check to ensure we all market ourselves in a reasonable and professional manner and to make a postive, worthwhile contribution. Vague, near useless and ill conceived contributions serve no purpose, but to simply frustrate those with greater care over their marketing strategies. Lets not abuse the technology and media we have. Blog spam is actually why a lot of people now are wary about just leaving the commenting system of their sites without any kind of anti-spam protection or moderation plug-in. While I can understand the need of other marketers to hire people to do their blog commenting for them, they should know better than to get those who leave spammy comments however. But, if you really want to build up your brand or social media presence through blog commenting, doing it yourself would really help. You would not only get the backlinks you wanted, you would form relationships with so much more people who are willing to spread the word around about you. I think this is better than having someone spread blog spam that will end up hurting you anyway. A good post. I share your frustration. I get a large number of spam comments every day and it makes me tear my hair out. Thankfully I use a good plug-in that filters a large proportion of this. Commenting on blogs and social media should be about generating conversations, not just dumping a link. Those organisations who use irrelevant, low cost comment spam techniques in the hope of getting an increase in web traffic are doing themselves are huge disservice. Good points. And speaking as somebody who does a bit of SEO, the greater irony is that Google and major search engines do not even count the back-links generated from comments in blogs. Major blogging services all insert a bit of code in their blog comment sections which makes sure that Search Engine crawlers no longer follow them. The blog spammers you're talking about will offer their too good to be true services to businesses. Something like a full staff of six people in India working on your Search Engine Rankings for just $18 AUD per hour (yes, that's $3AUD per hour for each staff). Because SEO is such a murky discipline, most business owners will never bother to penetrate the veil and know which firms are offering legitimate services and which firms conduct so called "grey/black hat" techniques. A general good rule to small business owners is: if it's too good to be true, it probably isn't. Your best bet for SEO is still a combination of web marketing and PR professionals who honestly optimize back-end code and generate great content to drive search engine rankings. The quality is proportional to the cost. I hate blog spam, too, Greg and I agree that it is a lazy way of trying to get more backlinks. A recent one amused me though - they were insulting me in their spam as if that would get me to approve their gibberish! Spammers is one thing, but I find the blogs that have allowed that sort of garbage in their comments to be unappealing, too. In fact, it kills their credibility and I generally will leave once I realise that's what they allow as comments.